Subsequent to the MOU signed between the Advertising Agencies Association of India (AAAI) and Indian Outdoor Advertising Association (IOAA), after months of discussion and deliberations both parties have arrived at a Standard Operating Procedure (SOP) to be followed by members of both Associations with a view to regulating and growing the Indian outdoor advertising industry. On the occasion both the Associations echoed the sentiment that this is a landmark agreement in the long history of outdoor industry in India and will go a long way in building advertiser confidence in buying outdoor sites and enabling them to invest heavily in outdoor and exploiting its true potential. The outdoor media industry is highly fragmented in India with a large number of not well organised and small players who own sites or are concessionaires of site owners. This has led to improper utilisation of the medium and also stunted growth of the Industry. This has also often led to the exploitation of either advertiser or outdoor agency or outdoor media owner, depending from which lens one views the industry. This has often led to advertisers not being able to buy Outdoor with the same confidence that they buy other media. There is a now an established practice of a large number of advertisers meeting their Outdoor requirements through outdoor gencies that may be independent or part of media agencies or advertising agencies. To enable the outdoor agencies to participate in the AAAI forum, AAAI has formed an Outdoor Media Forum (OMF) and AAAI-OMF has entered into a far reaching agreement with Indian Outdoor Agencies Association (an association of outdoor owners) with a view to regulate and grow the outdoor advertising industry and ensure that all parties involved discharge their responsibility honorably and no one party gets exploited in the transaction or feels he is exploited. To take matters further, the AAAI-OMF and IOAA has agreed on a Standard Operating Procedure (SOP) that shall be followed primarily between outdoor agency and media owners, but will have some implication on advertisers, too. IOAA will ensure that its members will only put on offer those sites that are legal and that comply with all applicable laws and rules of the Land. IOAA members shall provide indemnity for any loss that the outdoor agency and advertiser may be exposed to, by virtue of using IOAA member sites as an advertising medium. IOAA shall also ensure that its members shall indemnify the advertiser and outdoor agency for any third party liability that may arise because of any injury to humans or damage to property on account of a site. Media owners need to necessarily take third party insurance cover for any damage because of display structure to any third party and indemnify agencies/ advertisers from any claim in this regard. AAAI-OMF members are required to deal primarily with IOAA members to protect their own and their client’s interests. Similarly, IOAA members are required to give preferential treatment to AAAI-OMF members since they undertake to follow all the guidelines specified in the SOP, which will protect the financial interest of the IOAA members. Advertisers shall sign and approve in writing estimates of outdoor agencies and where advertisers have adopted the practice of issuing Purchase Orders (PO), issue such Orders before the start date of the campaign. Similarly, outdoor agencies will need to issue Release Orders (RO) to media owners before start date of the campaign. Invoicing by media owners shall be based on the dates given in the Release Orders. For the purpose of raising bills, only the start and end dates of booking as stated in the RO shall be considered. Delays, if any, in providing flex for display shall be to the account of the advertiser and the delay in providing flex shall not affect the start date of the campaign, in terms of billing. Flex must be provided to the media owner at least two days before the start date or as may be mutually agreed. However, any delay on the part of the media owners shall be made good either by providing a prorata extension or a prorata deduction. 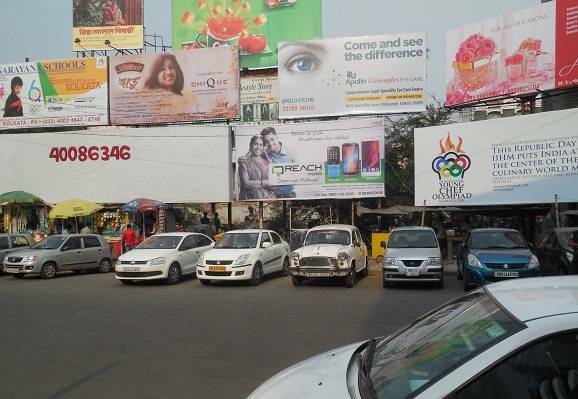 Media owners shall be obliged to comply with start and end date specified in the RO only; if there is a delay in supplying flex for display, the campaign shall be displayed only till the end date specified in the RO, unless there is an extension negotiated and a specific supplementary RO issued. Minimum display period is 10 days and thereafter in 5 day intervals viz. 10, 15, 20, 25, 30 days, etc. There shall be no automatic extension for bookings of 10/ 15/ 20/ 25 days and extensions, if any, desired shall be purely subject to availability only. Extension will be as per extension grid. For campaigns of 10-15 days: Media owners will provide one set of newspaper dated photographs of start date and last date. For campaigns exceeding 15 days: In addition to providing newspaper dated photographs of start date and end date, media owners will also provide one set of weekly newspaper dated photos of the campaign shall be provided. Media owners shall raise invoices on the outdoor agency along with newspaper dated photographs within 14 days of completion of job or for displays longer than one month within 14 days of completion of month. Outdoor agencies will submit invoices to the advertiser within a further 14 days. Advertiser will issue PO and/ or sign outdoor agency estimate for display of the campaign as per bill passing protocol of the advertiser and adhere to minimum campaign durations as specified in this document. Provide advertising flex on time, that is, at least 48 hours before the start date of the campaign or as may be mutually agreed between the parties and follow all terms and conditions specified in the PO and/ or estimate. Ensure that advertisement flex is as per the Code of the Advertising Standards Council of India (ASCI) and meets all legal provisions for Content. Ensure that quality of substrate flex is as per specified standard. Any deviation will be made good by the advertiser at his own cost and consequences. Cancellation or extensions of campaign shall be strictly subject to Grid annexed. Currently credit period available to agencies from media owners for all sites other than airports from the last day of the month in which display ended is 90 days and for sites within airports, 60 days. Media owners generally take 15-30 days to raise a bill and outdoor agencies take another 15-30 days on advertisers. Advertisers are, therefore, required to make prompt and full payment of the invoices within the credit period specified, that is, within 30 days from date of the bill. Failure to settle media agency bills within credit deadline will lead to consequences as detailed in Clause 1.22. Advertisers are required to notify the outdoor agency about any defect in display or discrepancy in invoice within7 days of receipt of invoice, beyond which no dispute will be accepted and full invoice will be treated as accepted and shall be payable by the advertiser to the outdoor agency. Advertiser will accept estimates/ issue POs separately for Metro + P1 Cities (All States Capital), Other cities and towns, and Airports and accept Invoices accordingly. Those who are on advance payment as notified by IBF-AAAI committee from time to time. Those advertisers who are embargoed by INS for non-payment to their agencies. Those advertisers belonging to the real estate category, except those belonging to large industries like Tata, Godrej, L&T, etc. or very large independent real estate companies like Lodha. All advertisers who default for 2 consecutive months in terms of payment within credit period or those who default 3 times in a year in terms of payment within credit period will be dealt with by the outdoor agencies on PDC or Advance, depending on the severity of the default. Further, advertisers who have been put on PDC by IBF-AAAI Committee would also be dealt with on PDC. Agencies in their own interest are required to deal with all advertisers other than those in A category on terms which require the advertiser to provide the outdoor agency with post-dated cheques or collect advance payment. If such an advertiser does not pay the outdoor agency within the credit period, it will be the responsibility of the outdoor agency to pay the media owner within the credit period. In case where an advertiser replaces an existing outdoor agency with a new outdoor agency, it will be the responsibility of the incoming outdoor agency to obtain an ‘NOC’ from the old outdoor agency and submit the same to the IOAA-AAAI Joint Working Group (JWG). The NOC must also state that no overdues are pending OR that dues will be settled on due date and a list of disputes, if any, must be enumerated in the NOC with a date by which such disputes will be resolved. Advertisers/ outdoor agencies will be at liberty to insist on the execution of a Non-Disclosure and Confidentiality Agreement with media owners, which should be complied with to ensure strict confidentiality in the market about new launches/ launch of new campaigns and details of media plan to be executed.